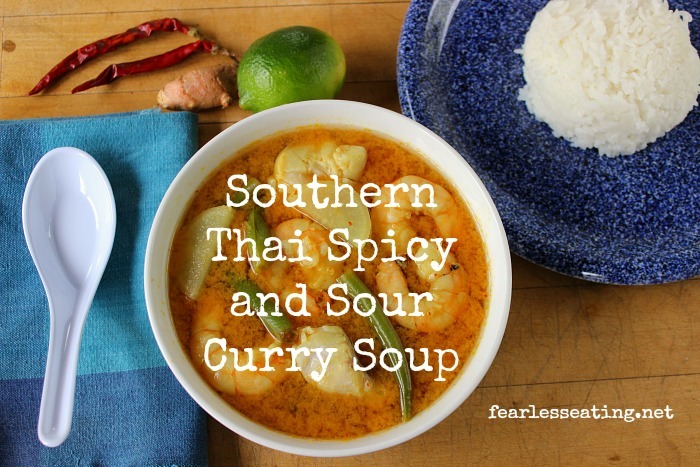 This classic southern Thai sour curry soup (kaeng som) is not for the unadventurous. But if you’re up for a challenge, you’re in the right place, especially if you like set-your-mouth-on-fire-spicy (also sweating, watering eyes and some serious nose drainage). This is perhaps not my most appealing introduction to a recipe. I know, most westerners don’t like spicy (or the thought of bodily fluids). 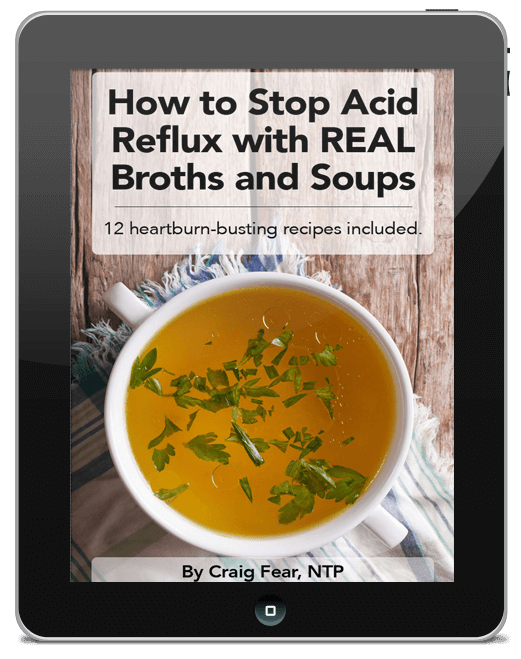 But before you click away, know that this recipe can easily be adjusted to a mild or even non-spicy version (thus without readily appearing body fluids). But traditionally, this is supposed to be a super spicy soup, at least the southern Thai version. Thai sour curry (kaeng som) is sort of like the chicken soup of Thailand. It’s popular everywhere and hundreds of variations exist throughout the country. At its core it’s made from a super simple chili paste dissolved in broth (or water) and then simmered with fish or shrimp and vegetables. There’s no coconut milk in this soup to balance the heat and that’s one of the reasons it’s spicy. The sourness comes from either tamarind or lime. The southern version is unique in a few ways. First, it uses turmeric which gives the paste and the soup a yellowish orange color. As a result, sometimes it’s called “orange curry.” In some places in southern Thailand they also call it “yellow curry.” This is different from the more common yellow coconut curry dish but which is still called “yellow curry” on Thai menus (eating in Thailand can be very confusing). Second, it’s really spicy. And third, there’s little if any sugar. On my recent trip to Thailand I learned that when you order a spicy Thai meal in southern Thailand, they mostly assume you’re a total wuss and won’t be able to tolerate super spicy. The servers always ask you how spicy you want it and usually give you a few options – a little spicy, medium spicy and Thai spicy. “Thai spicy” means the real deal, in theory anyway. Because very few westerners ask for things “Thai spicy,” sometimes they would err on the side of caution and tone it down. The first time I ordered Thai sour curry in southern Thailand it was the real deal… and then some. Man did the sinuses flow. At the end of my meal I’d used so many napkins that my table looked like it was in the path of a ticker tape parade. I was sucking air for a good 15 minutes after the meal just to cool my mouth down. But that doesn’t mean I didn’t enjoy it. It was so good. I don’t know why the combination of fiery chilies, sour lime and earthy turmeric works so well but it just does. Quick aside: did you know that eating spicy foods help cool your body down in hot weather? 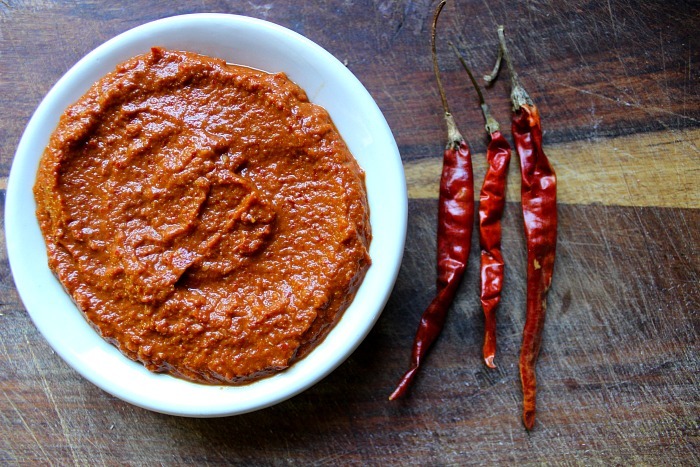 If you’ve never made a homemade curry paste before, this is the one to try. 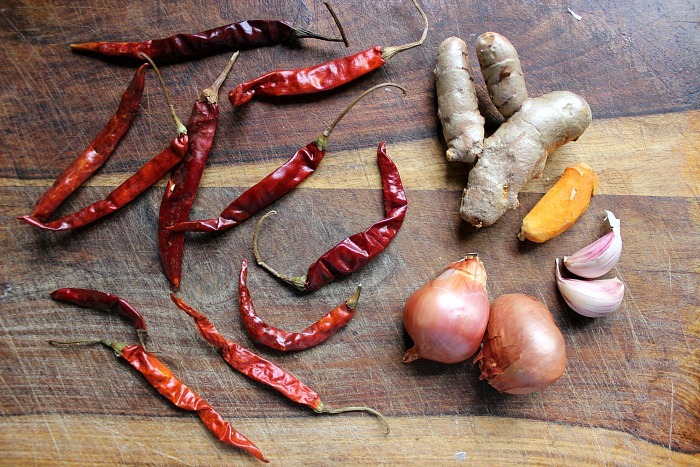 Unlike red, green and other Thai pastes which can use dozens of ingredients (many of which are hard to find), Thai sour curry only uses a handful. It was the first curry paste I tried making myself and the results were absolutely fantastic. I was surprised at how closely this resembled what I had in Thailand. Dried arbol chilies, a few shallots, a few cloves of garlic and turmeric. I peeled that little piece of turmeric just see you could see the bright orange color. The one pictured above was one of a few options in my local Asian market. I don’t know if this is a great brand or not but there wasn’t any MSG or other chemical ingredients. The small 3-ounce sized container was another benefit. Most Asian supermarkets will have several options for shrimp paste. You will be harshly judged. Just a heads up. Another heads up. Arbol chilies are really spicy! You could use fresh Thai bird’s eye chilies too for even more heat. But if you want a mild version, you’ll have to use a milder chili. Try some large dried California chilies instead. Finally, if you’re not ready to make your own paste, you can buy a pre-made paste. 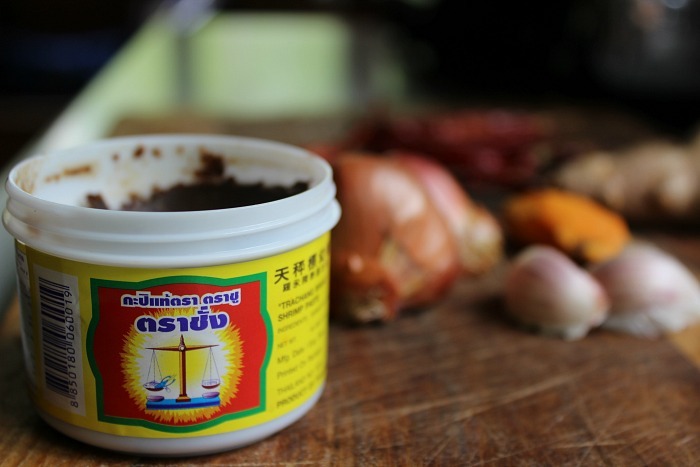 But unlike more common red and green curry pastes, pre-made sour curry paste is not as easy to find. My local Asian supermarket had one product by Maesri. 1.First, soak the dried chilies. Pour some boiling water over them and let them soak until they soften, about 20-30 minutes. 2. Next, add about a 1/4 cup of the soaking water and about 30 of the dried arbol chilies, 1 shallot, 1 clove garlic, 2 small 1 inch pieces of turmeric and 1 teaspoon of the shrimp paste to a blender and blend until it forms a paste. 3. Taste and add more of any ingredient, if desired. My version is fairly straightforward. I don’t like adding sugar, tamarind juice (which has some sweetness to it) or even fish sauce, though many versions in Thailand include them. I think the essence of the spicy and sour flavors get a bit diluted when adding those ingredients. By all means, add them if you want. In the end, it’s ALWAYS comes down to experimentation and personal preference. 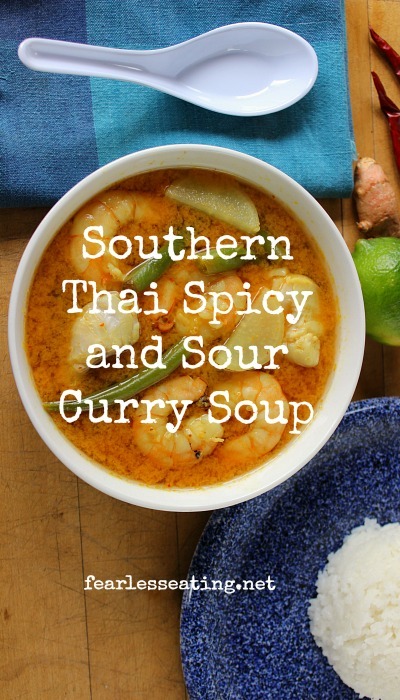 Thai sour curries use a simple chili paste dissolved in broth (or water) and then simmered with fish or shrimp and vegetables and seasoned with generous amounts of lime juice. Vegetables of choice - green beans, daikon radish, cauliflower, etc. 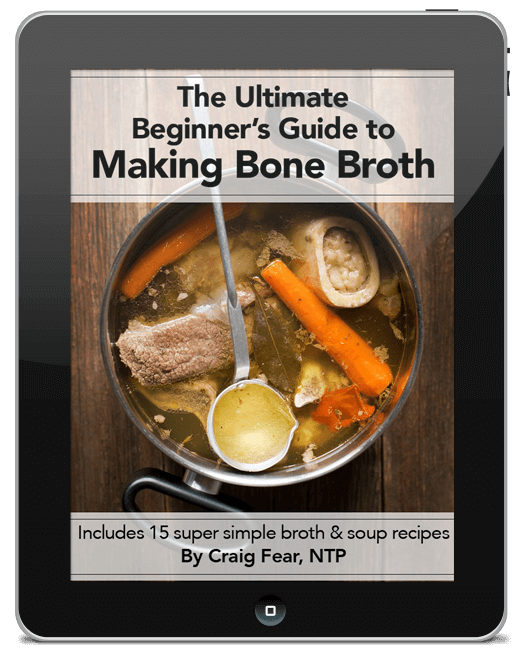 Bring broth or water to a simmer and add 1 TBSP of paste at a time. Mix, stir and taste. Continue adding additional TBSPs to your preferred taste. 3 TBSPs is what I like but that's REALLY spicy! You could even add more. Add 2 TBSPs lime juice and then add more to desired taste. If you're cooking for more than yourself, you can leave out the lime juice and let each person add it to his/her individual bowl. Add veggies and simmer a few minutes. Add fish or shrimp and simmer a few minutes until cooked through. Adjust flavors to your taste with lime juice, fish sauce or salt or even sugar.